When you both publicly and loudly proclaimed your love for each other, there was great jubilation as you gazed into each other’s eyes and you moved from involvement to commitment. It was truly a dream come true! spouse. If there are any pleasantries to be observed it’s to meet societal expectations or fulfill parental duties. The traits that convinced a couple that they belong to each other seem to have turned into irreconcilable differences that are nothing but an emotional wall. If this characterizes your marriage, it means you are NOT ONE as God deigned for marriage. There is no unity in your marriage. Your marriage is like a person without a backbone. Oneness or Unity in marriage is when two people commit to be one (body, soul and spirit) under God for life. To be one does not mean your individuality is done away with, no. Unity in marriage is not uniformity. In marriage unity in purpose, values and goals for life are buoyed by intrinsic differences in personality, character and stature that you each bring to the marriage. When there is oneness in a marriage, each individual makes necessary adjustments to enable effective “coupling” which allows the marriage to fulfill its purpose. Unity in marriage at times looks like a pair of scissors: it has two blades which seem different yet equal and interdependent. The differences of the blades allow for rhythmic movement which brings effectiveness in cutting. The differences in personality, preferences, of all kinds (food, fashion, friends, free-time activities), dreams, backgrounds, methods of raising children and even when to sleep or wake up are just differences, not wrongs. They are in fact needed to create a team that is best suited for your marriage. 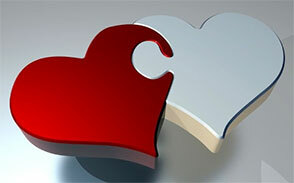 Unity in the diversity of a married couple seems to be God’s way of calling us to depend on Him alone. Just like an active athlete with a strong backbone, a couple with unquestionable unity can face many burdens life throws at them in the stride. They sure will have strain, pain and dents but they will not be pulverized by challenges and trials of life. While we are able to crush a block of concrete, it is impossible to get back the cement, water and sand that were used to make the concrete block in the first place. Sand, cement or water on its own will not make a strong foundation until an expert builder mixes them in the right quantities and in the right way. Similarly, the strengths of each spouse on their own are weaker than the weaknesses of a couple united under God for God’s purposes. While pretty often marriages may be stopped through divorce and separation, marriage can only be obliterated at death, when God stops the life of one or both spouses. Understanding this divine perspective of “one till death do us part” makes a difference if a couple is ever to consider divorce or separation. evil with evil or insult with insult, but with blessing, because to this you were called so that you may inherit a blessing.” 1 Peter 3:8-9 (NIV) Unity in marriage under God will enable passion, companionship and intimacy that sustains a marriage in spite of the challenges of life. Strengthen your backbone!